118 Years of NYTimes Focus Countries – Since 1963. Whew. Long title, fabulously fascinating graphic. “Most mentioned country each month since 1900 according to 741,576 section front headlines via the New York Times archive.” Whew. Long title, « fabulously fascinating graphic ». | The New York Times. Well, it’s all a random mess, actually. Mostly history. Politics. Gay old times. One of the obscure corners of the vast Intertubesnetweb, AirBeagle has been online since 1999. Its creator, Steve, has been inhaling and exhaling since 1963. Steve is a former small-town daily newspaper reporter, public education communications director, elementary/secondary teacher and author. He has over 30 years writing experience in a variety of media. 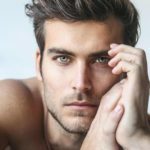 He earned a bachelor’s degree in English from Cameron University in Oklahoma and a master’s in elementary education from the University of Michigan. He currently lives in Nashville, TN, with his partner, Frank, (a university research librarian), their beagle, Fergus (11), their basset/treeing coonhound Goose (4), and their basset hounds, Roux (8) and Sascha (11). They are fostering a chocolate lab, Tessa, (13). Their beagles Bayley (12) (2007), Fred (5) (2012) and Feargal (8) (2015), and their basset/corgi/beagle Bosco (10) (2018) have all sadly crossed the Rainbow Bridge. They are missed terribly. 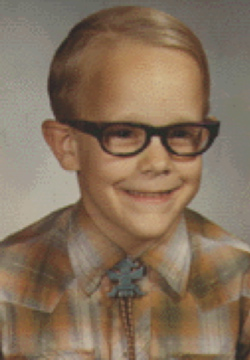 Steve was born in Roswell, NM, at the Eastern New Mexico Medical Center. In his family are his mother and theoretically a couple of siblings with scads of kids and grandkids; his father died in 2013. He and Frank met and fell in love 27-Feb-00 in San Francisco. Their first commitment ceremony was presided over by Gavin Newsome, current Lt. Gov. of the state of California, and a candidate for governor in the next election. They also had a real wedding at a lovely bed and breakfast on the river overlooking Detroit from Windsor, Ontario, Canada. An American celebration was had on the beach at Malibu, California, in 2008, which made them one of only 18,000 couples to tie the knot in the short period before California voters were pressed by the Mormon Church to ban marriage equality, a vote that was overturned in 2015 by the U.S. Supreme Court, thank you very much. Frank is a native of the Los Angeles area, mainly Pasadena. He is a university research librarian. Steve fell in love with airliners at the age of five during a fateful encounter with a brand-new Pan Am 747 at the Roswell Industrial Air Center, New Mexico, in the fall of 1969, just before the 747s wdere put into regular passenger service. He has lived in Roswell and Clovis, NM; Duncan, OK; Plano and Dallas, TX; Pleasant Hill, San Francisco and Brentwood, CA; Highlands Ranch, CO; Ann Arbor, MI; and Nashville, TN. He is the author of Deadly Turbulence: The Air Safety Lessons of Braniff Flight 250 and Other Airliners, 1959-1966, his first aviation book, released in 2014, and is currently planning, researching, and writing his second. He’s staring up at the giant orb in the sky. He hasn’t seen the sun around here in ages, so he’s surprised. 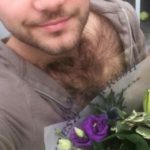 I’m about to surprise him myself. Woof. | ECotM—March 2019. Happy New Year Kisses: ECotM—January 2019. Warm Holiday Wishes: ECotM—December 2018. Thankful for Scruffy: ECotM—November 2018. Why hello pumpkin! : ECotM—October 2018. 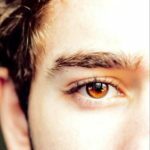 Warm, brown eyes of Autumn: ECotM—September 2018. Springtime at the Tower of London. | 15-Apr-00. 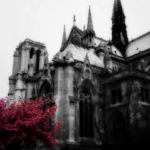 Springtime at Notre Dame de Paris, France. | 8-Apr-00. Reichstag Building, Berlin, Germany. | 16-Apr-00. 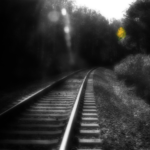 Marietta, GA, rail line, site of the 1864 Battle of Kennesaw Mountain. | 2009. “Arbeit Macht Frei” gate at Auschwitz I, the main camp. | 18-April-00. 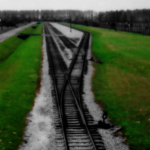 Unloading Platform at Auschwitz II/Birkenau. Oswiecim, Poland. 18-Apr-00. 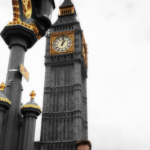 Steve in front of Big Ben, London. | 14-Apr-00. 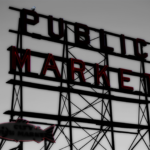 Seattle’s Pike Place Market marquee. | 2008. Fall Colors along I-24, southern Tennessee near Monteagle. | 2009. 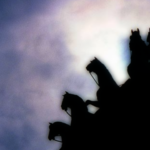 Quadriga atop Brandenburger Tor, Berlin, Germany. | 17-Apr-00. Gondola Loading Area below the Hotel Cavalletto Doge e Orseolo. Venice. 21-Apr-00. 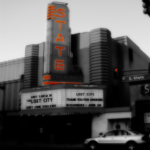 State Theater, Ann Arbor, MI. | 2006. 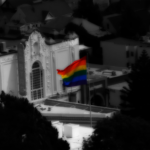 Pride Flag waves over the Castro District. San Francisco | 2003. 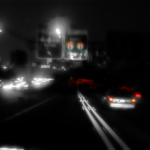 I-75 north out of Atlanta at night. | 2009. 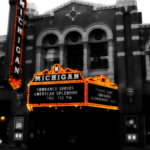 Marquee of the Michigan Theater, Ann Arbor. | 2006. 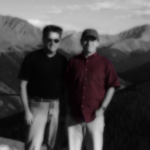 Steve and Frank atop Independence Pass, Colorado. 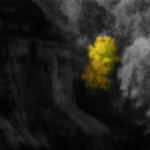 | Nov-01.